This weekend saw the 25th running of the Mt Kinabalu Climbathon. Often described as the worlds toughest mountain race, the course is only run over 21km but its the vertical ascent of over 2300m in as little as 8.5 km that sets it apart from the others. The race summit tops out at 4093m at the peak of Mt Kinabalu. Over the weekend the worlds best male and female athletes came together to be crowned the SkyRunning Champion of the World. 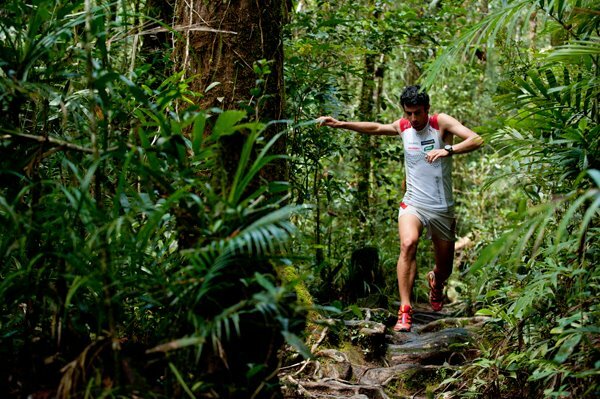 Adding some extra spice to the race was the possibility of Salomon International athlete, Kilian Jornet taking out significant race crowns on 5 continents in a calendar year. Backing up from wins in Australia, North America, Europe and Africa, he set his sights on taking out the race whilst up against course record holder and one of the few athletes to be able to challenge Kilian on the most extreme of hills, Italian Marco De Gasperi. Both runners had much to prove as De Gasperi was returning from injury and Jornet from a rare DNF. In a race of two halves, Marco De Gasperi was first to reach the summit in 1hr 37 mins with Kilian a further 4 minutes back. On the steep descent the gap only started to close slowly with less than 30 seconds separating the top 3 with 5 kms to go. Spectators were on edge waiting for the runners to emerge from the rainforest to see who had the gas in the tank after a gruelling season to sprint for the line. The tiny Catalan, Kilian was first to break the tape in a time of 2hrs 37min 39 seconds with Marco just 9 seconds behind. Luis Alberto completed the podium places in a time of 2hrs 42mins 36 seconds as the rains started to fall. In the womens race there was a familiar theme to last years race with Kiwi Anna Frost, repeating her second place from 2010 in a time of 3 hrs 50 mins 35 seconds. This years female winner was local girl Malasian, Danny Kuilin Binti Gongot in a time of 3hrs 41 ins 29 seconds. 3rd place went to Brandy Erholtz from USA in 3hrs 52 min 21 seconds. This concludes the ultra trail running season for Kilian as he now focusses on his winter sport of Ski Mountaineering where he has yet another world title to defend. 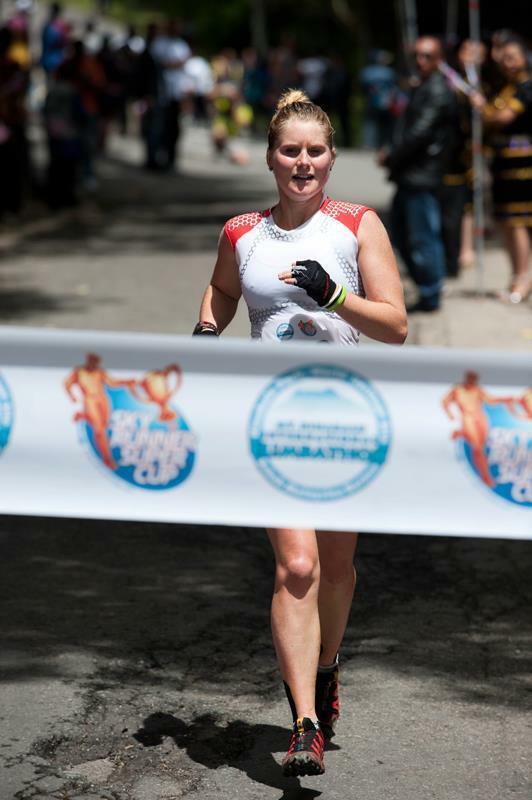 We next see Anna Frost in action at the prestigious TNF50 in San Franciso in early 2012. Enjoy the relative rest Kilian, its been quite a year ! I bet you Kilian wasn’t juggling coming down that mountain chasing Marco. I think it’s great it was so close. And congratulations Frosty. 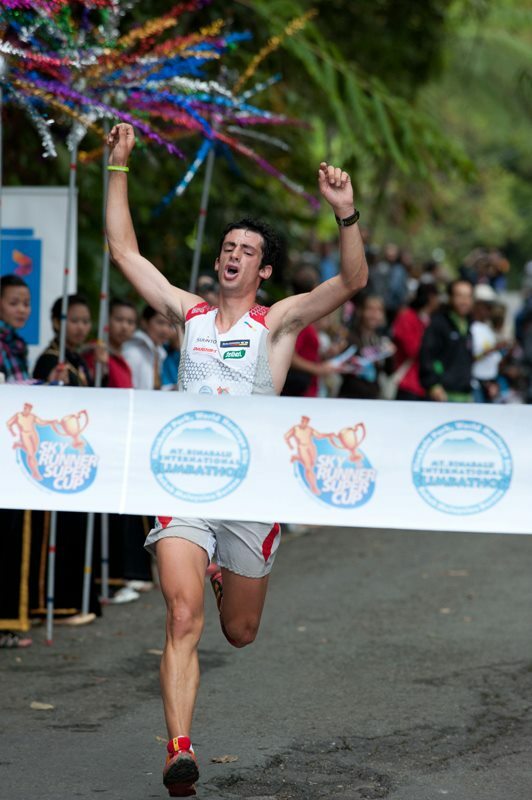 This is perhaps the ‘least relaxed looking’ Kilian at any of his four others finish. This 5th Win really shows his Versatility. No doubt the BEST runner in world of Ultra Running.